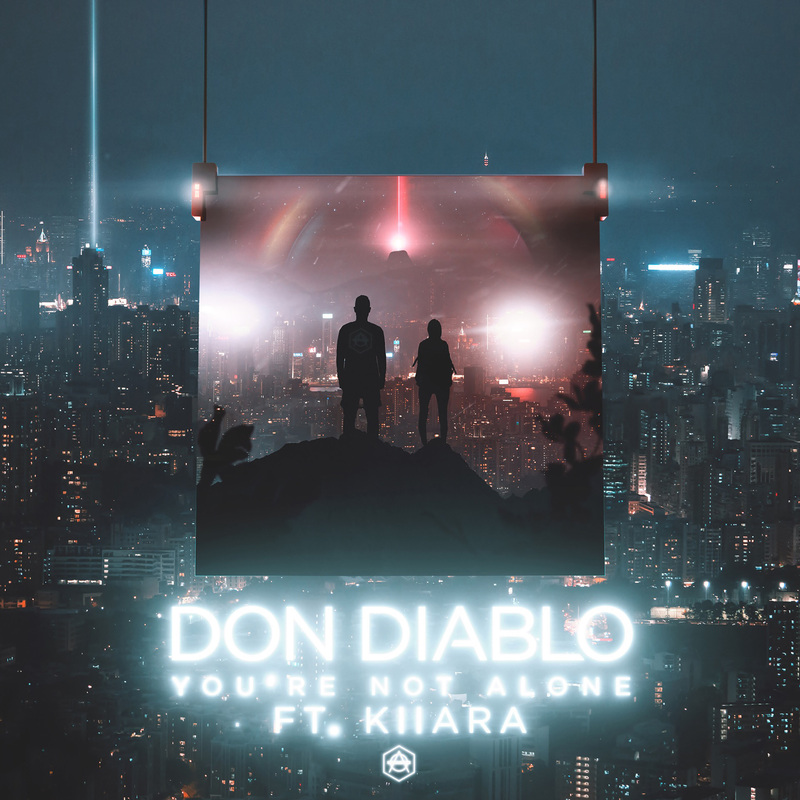 Kicking 2019 off in an emphatic manner, Dutch music maestro Don Diablo drops yet another major future house offering, this time teaming up with American singer/songwriter Kiiara for a sensational collaboration, ‘Not Alone’ – out now via Atlantic Records. Opening with Kiiara’s alluring vocals, ‘Not Alone’ is an ethereal creation, which seamlessly blends the track’s future house composition with Kiiara’s emotive vocal piece. Maintaining a soft glow throughout, ‘Not Alone’ flourishes across its 3-minute duration with soaring synths and a truly uplifting melody. With its motivational message and feel-good energy, ‘You’re Not Alone’ is destined to capture the hearts of dance music lovers all over the globe. Having delivered 3 singles already this year, including an epic official remix of Miley Cyrus and Mark Ronson’s ‘Nothing Breaks Like A Heart’, Don Diablo has wasted no time in making his mark on 2019. Announced as one of Tomorrowland’s stage curators, hosting his own HEXAGON stage at this year’s event, and headlining the likes of DLDK, Beyond Wonderland, Lollapalooza (Argentina, Chile and Brazil) and EDC Vegas, he is keeping just as busy with his touring schedule as his release schedule, taking his globally adored sound all over the world.